Rock pooling with the experts is a great way to explore the shore this summer. Below is a full list of events where you can find amazing rock pool creatures and learn all about them. Please check the full event details with the relevant organisation page before attending in case of changes and cancellations. All events require under 18s to be supervised by an adult and suitable rock-pooling footwear. Some events require advance booking. If you know of any other rock pooling events in this summer that aren’t on the list, please contact me: I’d be delighted to add them. Join a Shore Thing public survey this summer to learn about your rocky shore habitat and collect valuable data on non-native and climate change indicator species. Wednesday 6 August. 10am – 2pm. Kennack Sands. Join the Wild Lizard Ranger for a rummage in the rock-pools to discover the strange creatures that live there. Then, join in with activities in the tent at the back of the beach. Sunday 10 August. 11am – 2pm. Swanpool, Falmouth. Monday 11 August, 12pm – 2pm. Polzeath. Monday 11th August. 10.30am-12.30pm. Trevaunance Cove, St Agnes. Wednesday 13 August 12pm – 4pm. Kennack Sands. Wednesday 13th August. 1.30pm – 3.30pm. Prisk Cove, nr Mawnan. Booking is essential. Investigate the fascinating rockpools at Prisk Cove and discover the hidden world of crabs, fish sea anemones and strange shellfish with marine expert Ruth Williams. Please wear non slip rock scrambling shoes that you are prepared to get wet! Bring small nets and plastic buckets if you wish. The event is free. Thursday 14th August. 2pm – 4pm. Polzeath. Shore Thing Public Survey with Polzeath Marine Conservation Group. Friday 15th August, 3pm – 5pm. Hannafore, West Looe. Join the experts to explore the shore and meet our amazing marine wildlife. Sunday 17th August. 4pm – 6pm. Swanpool, Falmouth. Rocky Shore Explore with Cornwall Wildlife Trust. Wednesday 20 August 10am – 2pm. Kennack Sands. Wild Wednesday Beachcraft with the National Trust & Fox Club. Wednesday 27 August 12pm – 4pm. Kennack Sands. Thursday 28th August. 12pm – 3pm. Par. Thursday 28th August. 1pm – 3pm. Polzeath. Friday 29th August. 2pm – 4pm. Polzeath. Thank you for the information. Informative, helpful and well laid out. I know what I’ll be doing this summer!! Swanpool is definitely on my list! And great pics! Thanks Grandma Paint Pot – I may well see you there. I didn’t realise how much was on myself until I started compiling the list. Please do spread the word. It’s going to be a fantastic summer. Some fascinating, hidden locations to explore here – including Prisk Cove. Thank you so much for sharing. Some fascinating, hidden locations to explore here – particularly Prisk Cove. Thank you so much for sharing. Thanks Random Lincs. 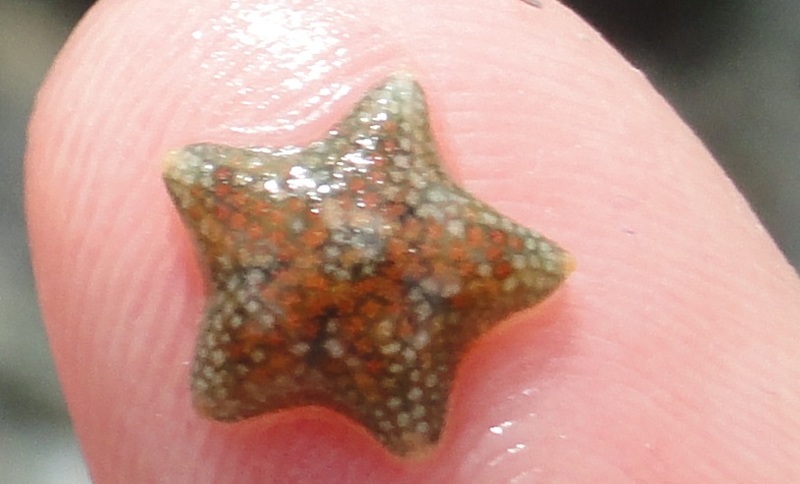 I’ll be writing about my visits to lots of Cornish rock pooling beaches, including some other less-well known sites. There are so many to choose from.